A new J.D. Power survey found that following Hurricanes Florence and Michael, many consumers said that their insurers met – or even exceeded – their expectations when it came to handling hurricane-related claims. The survey, conducted from October 19, 2018 to November 02, 2018, had more than 650 responses from home and auto insurance consumers across four states: North Carolina, South Carolina, Florida, and Georgia. J.D. 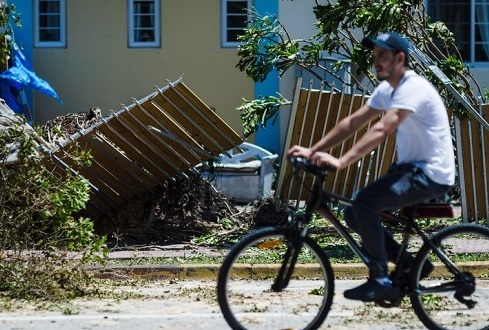 Power found that 87% of the consumers surveyed said that their insurance company met or exceeded their expectations with their hurricane response efforts. Of that figure, an impressive 30% of consumers gave their insurers a perfect score. Among customers that reported major damage or a total loss, 42% gave their insurer a perfect score for their response. In terms of claims specific to Hurricanes Florence and Michael, 88% of those who claimed damage caused by the former storm said their expectations were met or exceeded, while 87% of those who claimed for the latter also said they were satisfied with the level of service their insurer gave them. Insurance companies have also stepped up in terms of customer service, the survey finds. Some 79% of respondents said that their insurer fully informed them of their coverage options prior to the hurricane events. Also, 90% of customers reported being contacted by their insurer with offers of assistance. Notably, J.D. Power’s study discovered that consumers of direct insurers reported higher satisfaction compared to customer of agency-led carriers. 64% of direct to consumer policyholders reported having their claim fully covered compared to just 54% of agency-led carriers. The survey suggests that the results may have been impacted by direct carriers reporting a higher percentage of claims under $10,000 – which is 38% of all claims, compared to the 29% of all claims for agency-led carriers.